Dana Point Harbor welcomes everyone to celebrate love this Valentine’s Day with a seaside view at the romantic Dana Point Harbor. Couples, friends and families can shop along the waterfront, dine dockside, and truly enjoy the harbor experience filled with picturesque waterscapes and beautiful sunsets. Continue the Valentine’s Day spirit throughout February with special events and promotions at Dana Point Harbor restaurants, retailers and adventures all month long. cruises February 14-17. For more information visit www.DanaWharf.com. ● The Harbor Grill is celebrating Valentine’s Day with Oyster Day! Enjoy any oyster preparation for only $10.95 and then end the evening with sharing a piece of their delicious key lime pie. ● Spice up your Valentine’s Day with 10% off any regular priced item now through February 14 at Jerky & Cali Gifts. Stop in for a unique selection of jerky and gifts! ● Woody Hut is sharing the love during Valentine’s week with a complimentary chocolate rose or heart shaped lollipop just for coming in, no purchase required. This offer is valid February 10-14. ● Set sail towards the perfect Valentine’s date at Westwind Sailing. Enjoy a two for one private sail lesson now through February 18 and a two for one paddle session February 11-18. ● Celebrate Valentine’s Day on a romantic Sweetheart Sunset Safari. You and your sweetheart will enjoy a complimentary glass of champagne or sparkling cider, magnificent whales, playful dolphins, cute sea lions, and much more while watching the beautiful sunset on the ocean. 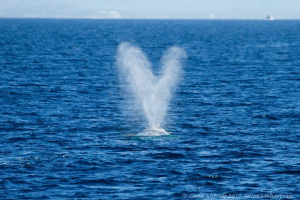 Book now for these special trips on February 14 and 16 at www.DolphinSafari.com or call 949-488-2828. Celebrate Valentine’s Day at Dana Point Harbor and experience all of the adventure, fun, romance, and relaxation available. For more information visit DanaPointHarbor.com or connect with us via Facebook, Instagram, or Twitter. 12 LUCKY ANIMALS: A Bilingual Baby Book is a must-buy this month! The perfect Baby Board Book for Chinese New Year! 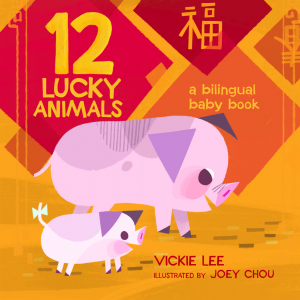 12 LUCKY ANIMALS: A Bilingual Baby Book is a delightful book! I love the characters and I highly recommend for babies and their parents and caregivers! Written by Chinese-American author, Vickie Lee, this delightful board book introduces young readers to the Zodiac calendar, and the animals associated with them. Plus, as this is the year of the Pig, Joey Chou’s delightful illustration of the pig is front and center! This book is a perfect way to introduce young readers to the concept of animals and get their first education in Chinese characters. I love the illustrations and I think this will be a hit with young children! The book can also be found at Barnes & Noble and Amazon.com. Self Disclosure: I received a free copy of the book and only feature books that I highly recommend. Image was also provided.